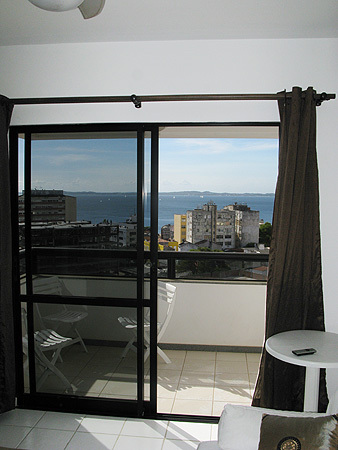 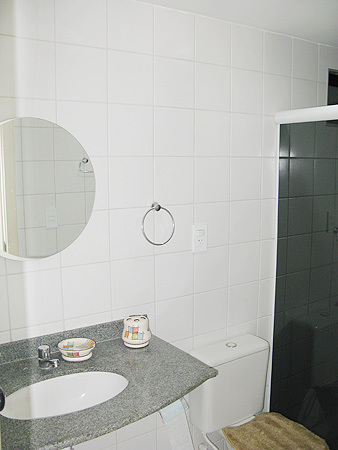 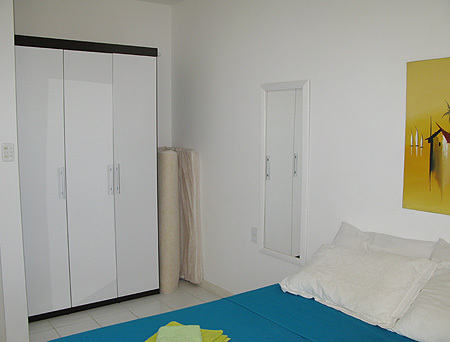 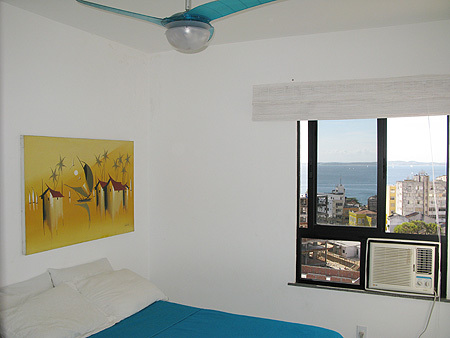 Excellent 1 bedroom apartment with all modern facilities, like AC, cable TV and broadband internet access. 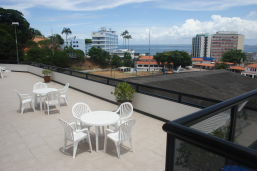 Or perhaps just leave the modern comforts somewhat behind and lay back on the large balcony with views over the city below and the tranquil waters of the Bay of All Saints. 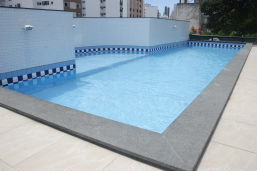 Building amenities include swimming pool, home theater and party area. 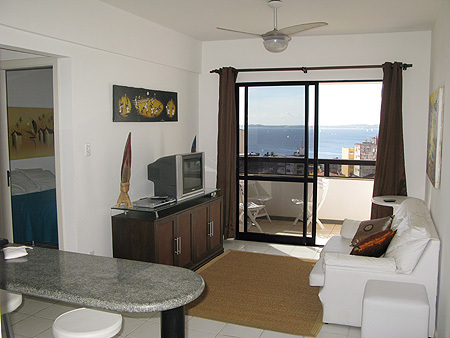 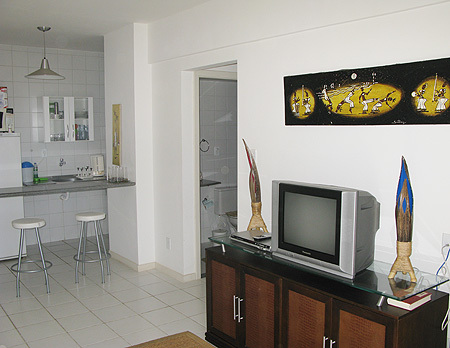 Just two blocks from the beach and within walking distance to restaurants, shops and Carnaval festivities. 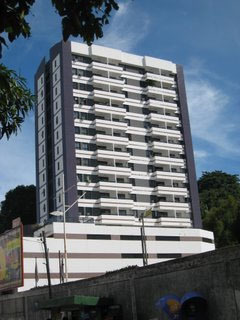 Brand new building with 24 hour doorman. 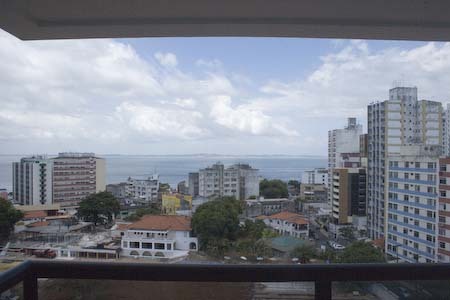 Barra: Central location with lots of restaurants, bars, supermarkets and shopping. 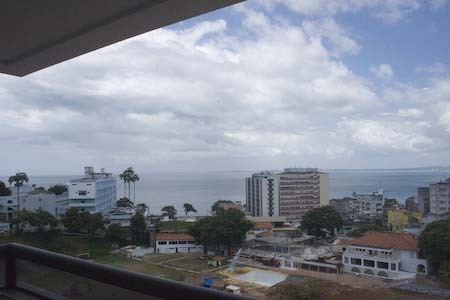 Home to one of the most important carnaval circuits and one of the best urban beaches in the world- the Porto da Barra beach. 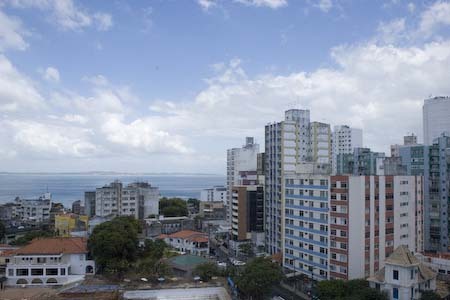 Barra is a residential neighborhood and is not nearly as touristy as Pelourinho - you are less likely to have a Bomfim fita tied to your wrist! 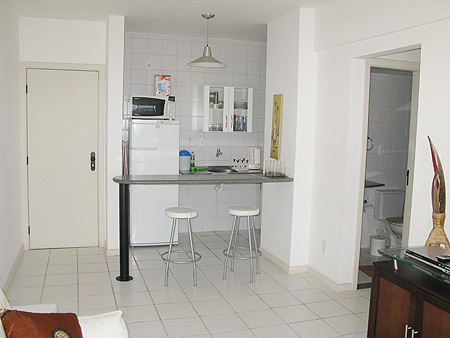 Short taxi ride to most tourist destinations and neighborhoods like Pelourinho, Cidade Baixa and Rio Vermelho.